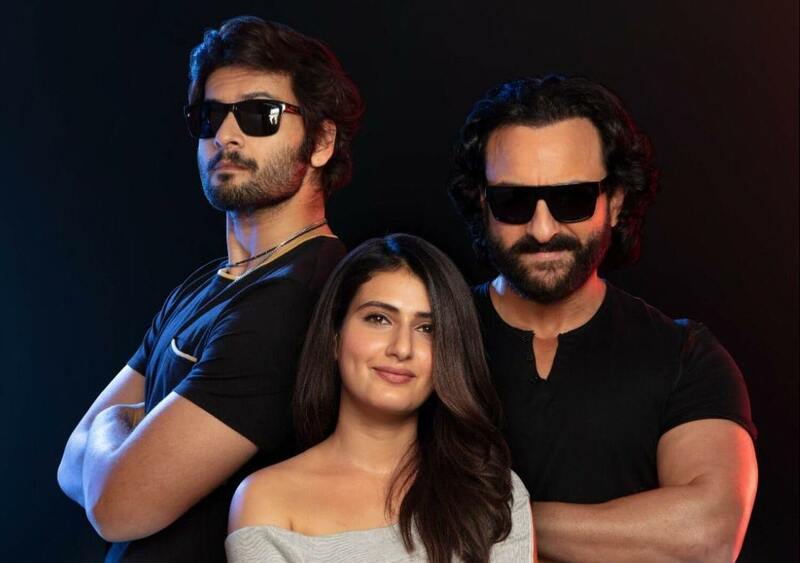 The days looked trotted with new couplings and newer plots in B-town and the latest to join this club are actors Saif Ali Khan, Fatima Sana Shaikh and Ali Fazal who have been confirmed as the cast of Pavan Kirpalani’s forthcoming directorial, Bhoot Police. The film has Saif and Ali playing ghost hunters and Fatima essays the role of a ‘charming woman’. In the shared picture, Saif and Ali dressed in all black with black hues to give them the conventional look of spies on business while Fatima donned an off shoulder grey top with a red line running down each sleeve. Both Saif and Ali held lighted torches in their pockets and stood in the background of all black as Fatima smiled for the lens, seated restfully on a wooden chair. The shooting of the film is planned to start in August this year. While announcing the movie, the makers had also revealed that it will be a charter and the first horror-comedy to be shown in 3D. Saif Ali Khan was last seen in Bazaar and has been busy shooting for the second season of popular web series Sacred Games. He will also be seen in Tanhaji: The Unsung Warrior and Jawani Janeman. Fatima Sana Shaikh, who made her Bollywood debut in Aamir Khan starrer Dangal, was last seen in Thugs of Hindostan. Though her performance in the film was cherished, the film failed to appeal moviegoers to the theatres.